This is what the new MSN homepage looks like | ComTek Computer Services Inc. Whenever a popular Internet website announces changes, chance is high that a vocal part of its userbase, often not the majority, criticizes some or even all of the changes. Today MSN announced that it will launch a new version of its homepage in the near future inviting all users of it to take it for a test ride before the official switch is being made. A prompt is displayed to visitors of the US MSN website that the new MSN is coming and that they can preview the new version right at that time with a click on the link. 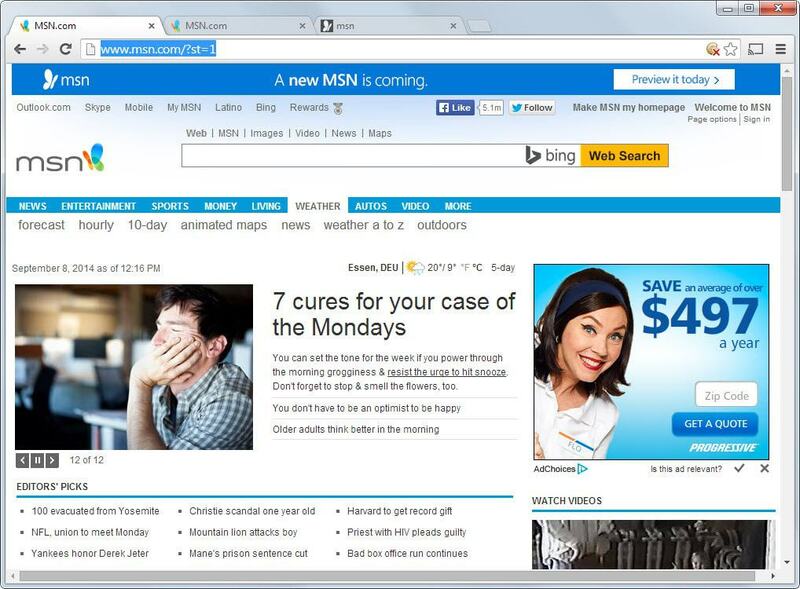 Here is a screenshot of the old MSN homepage that displays the information at the top of the page. Note that the banner won't be displayed when you visit the same page a second time or reload it. If you missed the banner or did not have time to click on the link when it was displayed, you can still load it with a click on this link. When you open the new version you will notice immediately that it is now adapting to the browser's screen size. The old MSN website used a centered layout regardless of screen size. That's not the only change that you will notice immediately. For one, the new homepage displays less text links and more image or thumbnail links. Another new feature is the direct integration of services such as Facebook, OneDrive or Twitter. Once you link the service to MSN, usually by clicking on its link and signing in, you will receive updates right on the MSN homepage with options to go to the service in question for additional details. 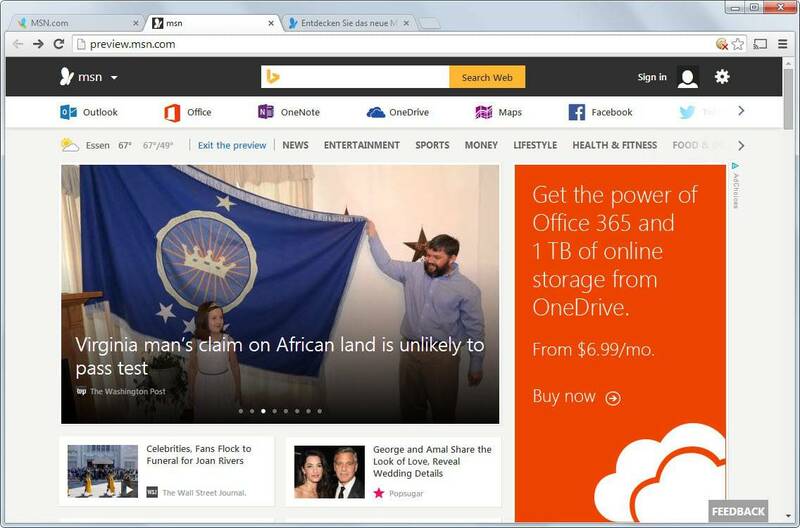 News categories that get displayed on the MSN homepage can be customized easily. A click on the username at the top, this works if you are not signed in to MSN as well but may not be permanent in this case, displays an option to customize the page. This allows you to add or remove news sections of interest. If you are not interested in entertainment, you can remove that section from the homepage and replace it with sections such as politics or tech & science that you may be interested in. Note that this has only an effect on individual sections found below the breaking news section. Even if you disable entertainment, you may still receive news about Kate and William's new baby or other celebrity news up there. I have to admit that I'm not using MSN or any news-type website for that matter. Good news is that it seems that the changes will be rolled out to all versions of the MSN homepage and not only the US one.